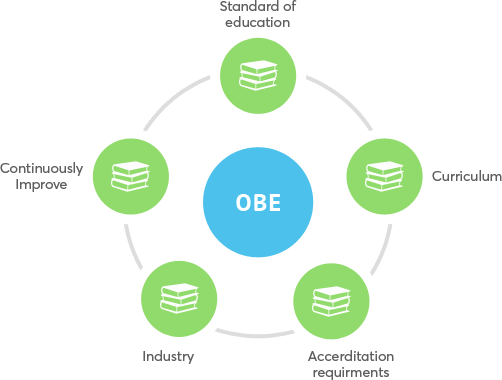 Q-OBE ™ is a Software Application for Universities, Colleges, Schools and Vocational Institutes to maintain and improve Quality of Education using OBE (Outcome Based Education) / AOL (Assurance of Learning ) Methodology. We support Bloom’s Taxonomy and OBE / AOL Accreditation Requirements of Washington Accord / ABET / AACSB. Outcome-based education (OBE) is an educational theory that bases each part of an educational system around goals (outcomes). By the end of the educational experience each student should have achieved the goal. Built in template of PLOs recommended by Pakistan Engineering Council. 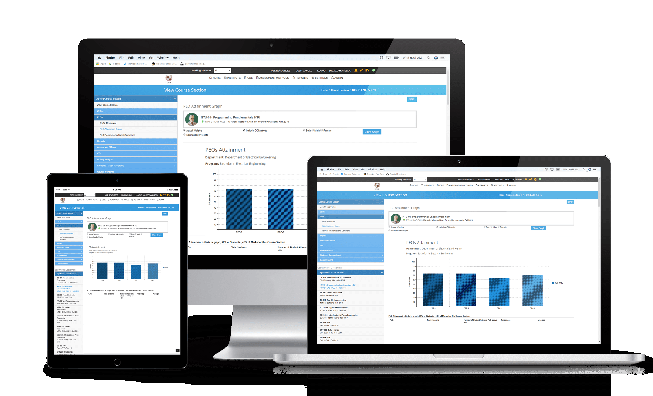 Both Cloud and Hosted solutions available with LMS/CMS Integration. Open Source Technology. No license Fee for foundation software used. Economical Customizations and Support Service availability. Assign a type (Cognitive, Psychomotor, Attributes) with desired Level. 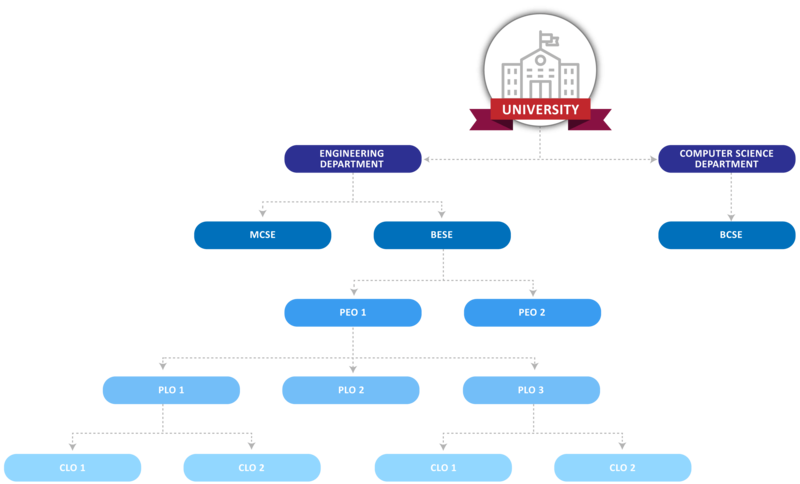 In Cloud version, Quality OBE offers each University / Institution facility to manage their data. They can submit/share the reports (read only) online to Accreditation Authority like Pakistan Engineering Council. Account is password protected. Universities / Institutions can create campuses, departments, programs, faculty, yearly enrolls, batches, students, facilities. Program Education Objectives (PEOs) have relationship with Program Learning Outcomes (PLOs). PLOs are achieved by number of Course learning Outcomes (CLOs). Quality OBE facilitates to add as many Class Activities (like Quiz, Assignment, Mid Terms) as you want to meet CLOs. Other than class activities, Surveys like Interviews from Alumni, Employer surveys, interview from graduating students are a way to measure achievement of Program Education Objectives. Our carefully tailored surveys help you to evaluate achievement of Program Education Objectives. 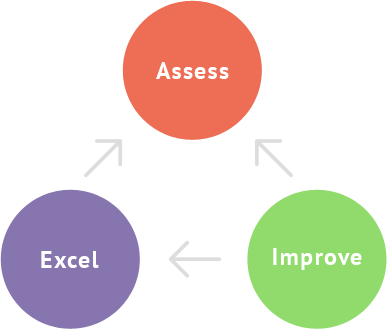 Both Detail and Consolidated reports available which can be exported in PDF and Excel. Configurable Rules engine to set Passing average for Course and Program. Offers features to take note of corrective measures for PLOs not met. Offers features to record measure and assessment of measures taken for PLOs not met.